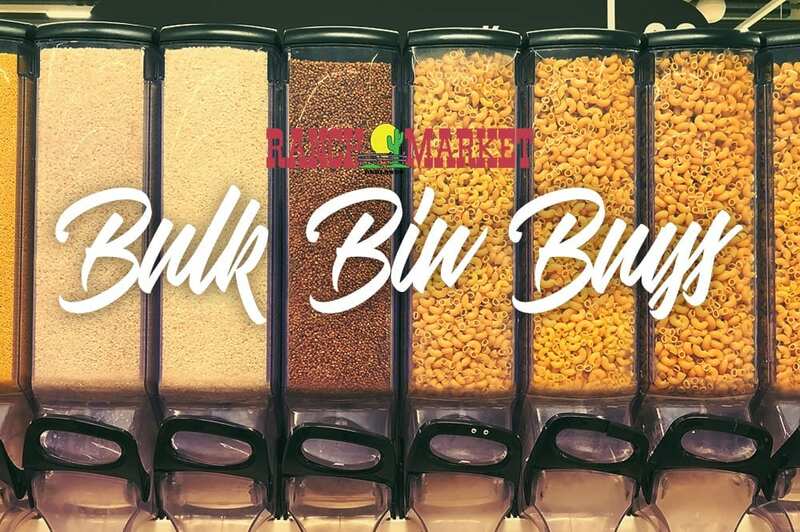 Interested in shopping the bulk bins at Redlands Ranch Market? This particular section can give some significant advantages that one might not have been aware existed. One of the best features of this section is that you can buy only what you need. If you know that you are baking a cake that calls for 1 cup coconut flour, then instead of buying an entire package, you can buy what you need. Often when you are trying a new recipe, it will call for unusual ingredients that you may not need to purchase in bulk. Don’t be confused and think that bulk section means spending more money – in fact, it often saves you money! If you did happen to buy that whole package of coconut flour and only used 1 cup of it; what are you going to do now? Most will let it sit in the pantry for the next while before we end of throwing it away. Food waste is a serious issue, with tons of food being thrown away every day. Because you can buy just want you need in the bulk bins you can cut back on food waste. Another aspect of buying from the bulk items is that you can help the environment. So much of what makes up our trash are small plastic disposable items. If you would like to bring in your own reusable produce bags, jars and containers, you are more than welcome to do that. Just bring them to the cashier first so that they can measure the weight of the container alone and then they will charge you only for the product that you fill it with. We hope that this article has helped you understand more about the benefits of buying in the bulk section of Redlands Ranch Market!